​Straws? Why? We are starting with some work right at our school. For example, we want to get rid of plastic straws in our school and around the community. 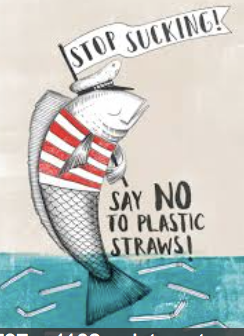 Here is the #Stop Sucking Link with alternatives to plastic straws! NO STRAW PLEASE! Please join us to stop plastic straws close to home, far and wide! CHANGE LAWS- Click here for article written in 2016 about the vote that will happen this AUGUST to potentially make the whole state of Massachusetts plastic bag free. GOOD LAWS: ONE OF THE BEST WAYS TO MAKE CHANGE IS BY PASSING LAWS TO PROTECT THE ENVIRONMENT! H.2121 / S.424 Sponsors: Rep. Lori Ehrlich, Sen. Jamie Eldridge. Would ban single-use plastic shopping bags statewide and require that the alternatives be more sustainable (such as paper bags must have at least 40% minimum post-consumer content). Next, we should help get it to become a state law. See the information in red in the left column. RIGHT WHALES CRITICALLY ENDANGERED! Radio Boston has a news story about our state whale! Helping these whales can help lots of sea life and our life too! See this story. Our beautiful, intelligent state whale is at high risk of extinction- fishing nets causing a great deal of harm! - new lobster traps could help! click here for the story! November 17th, 2017: A total of 210,000 gallons of oil leaked Thursday from the Keystone Pipeline in South Dakota, the pipeline's operator, TransCanada, said. See news story here!